Set against the backdrop of Iran’s rich, turbulent history, this exquisite debut novel is a powerful story of food, family, and a bittersweet homecoming. When we first meet Noor, she is living in San Francisco, missing her beloved father, Zod, in Iran. 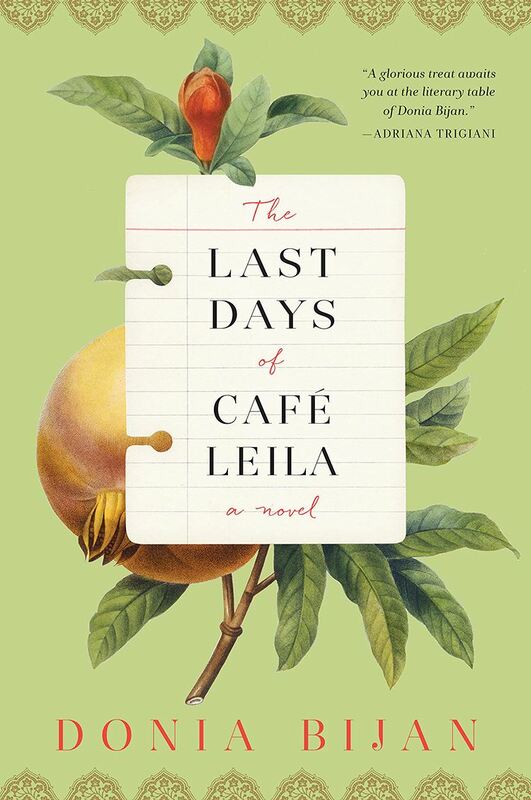 Now, dragging her stubborn teenage daughter, Lily, with her, she returns to Tehran and to Café Leila, the restaurant her family has been running for three generations. Iran may have changed, but Café Leila, still run by Zod, has stayed blessedly the same—it is a refuge of laughter and solace for its makeshift family of staff and regulars. As Noor revisits her Persian childhood, she must rethink who she is. Together, she and Lily get swept up in the beauty and brutality of Tehran.